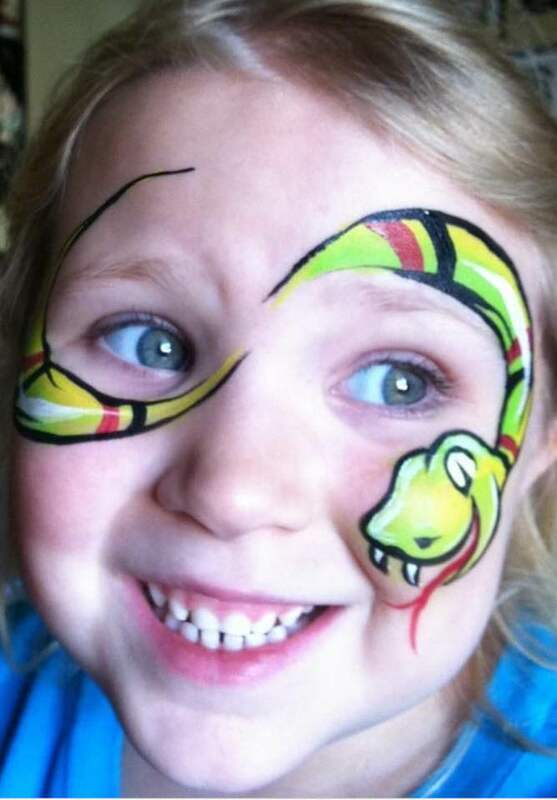 Balloon Twisting and/or Face Painting for any occasion. I've done bachelorette parties, bars, birthday parties, grand openings and so much more! My prices are competitive and my work is top-notch! When appropriate I also offer an intro to the event by playing “Baby Shark” on acoustic guitar, where the audience is invited to sing along!! Thank you Chris for making our son's birthday extra special. All of the kids loved the balloons that you made. We would love to book you again for a future event. Thank you!! Thank you Lisa! I had a great time and every one was so nice. I would love to twist balloons for you again! Chris arrived early and was a lot of fun for our group of 4&5 year olds! He created some fantastic balloon characters like Woody and Jessie from toy story (which was our theme!) as well as unicorns and dinosaurs! The kids loved him. Would def book again! Thanks Deedee! I had a great time. I loved the look on your daughters face when I made Woody. That's the biggest reason why I love making balloon art!! A Twist Above was Fantadtic! The balloon artist was fantastic! The kids at the party left happy! He arrived on time and easy to work with! Highly recommend! Super friendly and the kids really enjoyed their creations. I would definitely hire them for future parties and events! Wonderful Job - Everyone Loved it! We had a unique request for our event and Chris worked with us and delivered! We wanted a variety of jungle and safari animals to decorate our venue. Everyone said the balloons were amazing and the cub scouts loved them. Thanks for taking such wonderful care of us. Great service. All the children loved their balloons. Was satisfied with the result. Was on time and super friendly as well as talented. 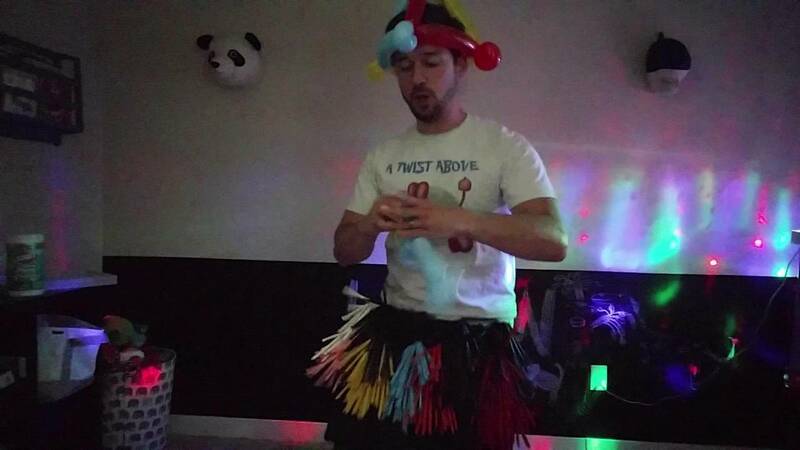 We had A Twist Above for our daughters 2nd birthday party and couldn't be happier with the service provided. We definitely recommend A Twist Above and will use them again in he future. Chris was great! All the kids loved him and adults too! Highly recommend and would absolutely use again! Chris, thank you so much for adding exceptional entertainment for our little ones first birthday. All of the kiddos had a blast and enjoyed all of their balloons. They were all very creative and we especially loved the teenage mutant ninja turtle. He did a great job keeping the kids happy and entertained. He was very nice and professional and made some very cool stuff for all the kiddos. He never stoped working and did an awesome job! Thank you Alysia! I really enjoyed it. 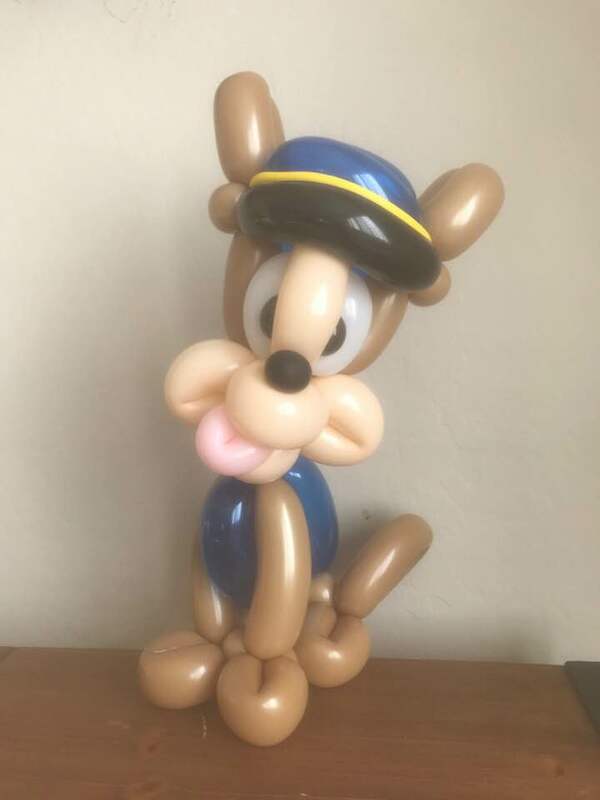 I hope everyone loved the balloons as much as I had making them! Prompt. Did a good job with the balloons. The only reason I didn't give 5 stars: I wish he had been a little more out going/friendly with the kids. Also- every single balloon animal made had at least one part pop before the party was even over...but all in all, great fun. He is nice, we have a good time. Thank you! Thank you for having me Summer! I had great time and the kids were awesome! We booked Twist Above for our library's 1000 Books Celebration - as part of the entertainment. The kids enjoyed watching Chris create a dragon and a unicorn as part of the entertainment. I wish it had been a little more interactive for the kids - but overall it went really well. I think he would be great as part of a birthday party or a group of entertainers at an event rather than a solo performer. 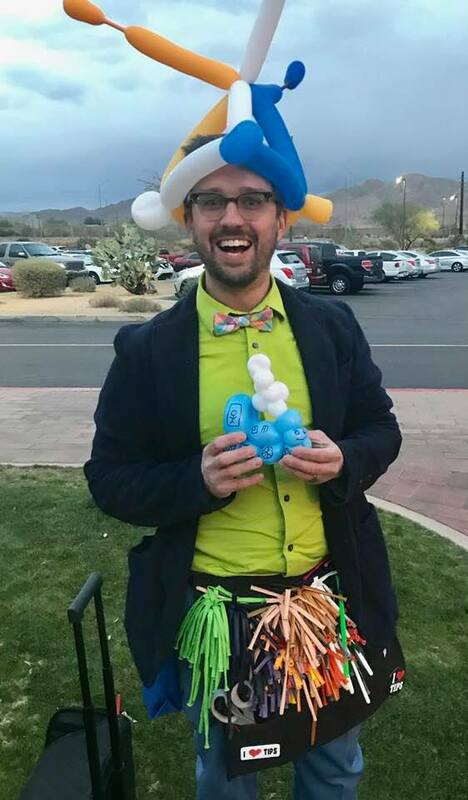 Chris did an amazing job with the balloons for our Kids Expo! Face painting, balloon twisting. acoustic guitar sing-alongs! I bring everything I need. If there's a design you'd like me to make, I'll try my best to learn before your event.